Maximum volume rating: 75 cu ft. Polished Brass finish. Power: 4.5kW, 240V, 19A. 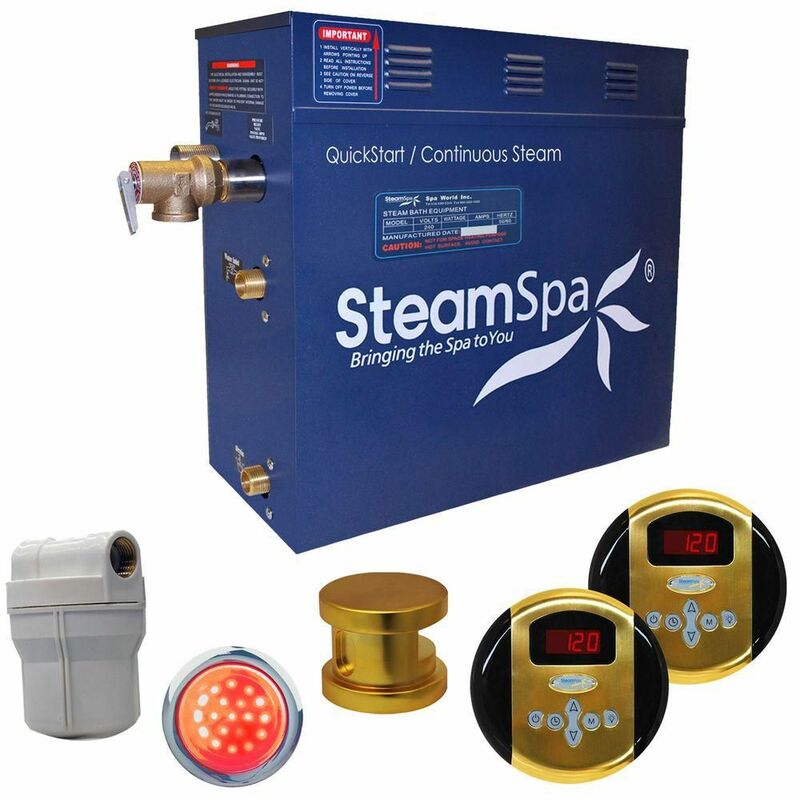 Integrated aroma steamhead reservoir for a scented steam experience. Add a few drops of your favourite fragrance and enjoy a refreshing, stimulating aroma therapy.